NPM: First we need node package manager used as open source repositories for the work. Angular Framework depends on other component dependency and node provide these dependency to run the Angular. GIT: Git used for the download sample source code from the angular website to start. EDITOR: In market you can find lots of editors for the angular which are framework supporting like Visual Studio code and Web-storm. From that Visual Studio code is free editor provided by the Microsoft. 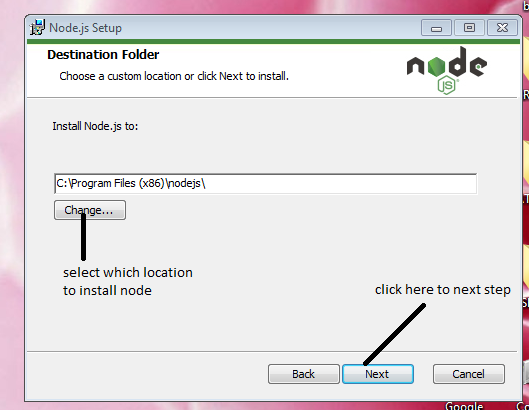 To Install npm first we need go there official website to download npm. 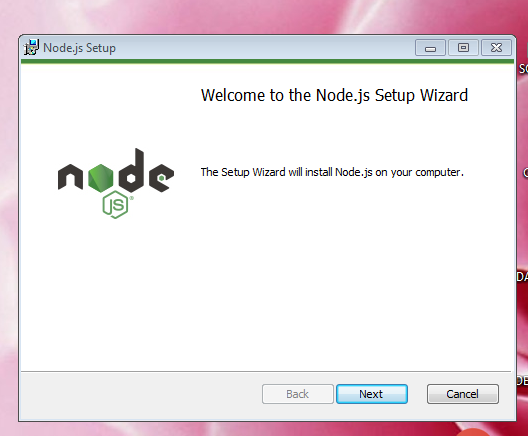 After open site nee to go the section “Get started with npm”. 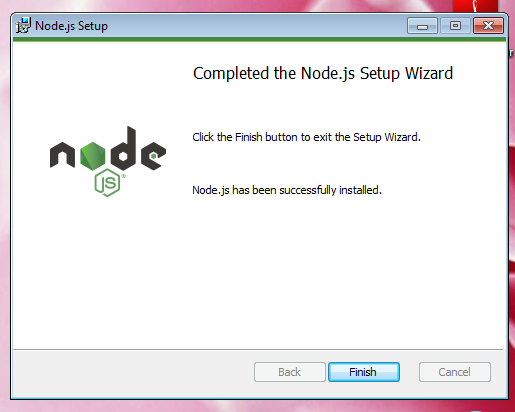 After Click on the “Get started with npm” it redirect to download page. Select your configuration of the machine and download package. After download click on the installation it open the below screen. After select terms agreement click on the next. 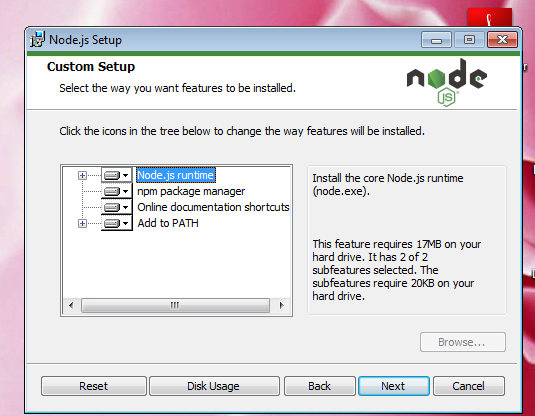 Select Node.js runtime then click on the Next button to install the package after 30 sec to 1 min it install these package and display the success page. Click on the finish button to close these installation. 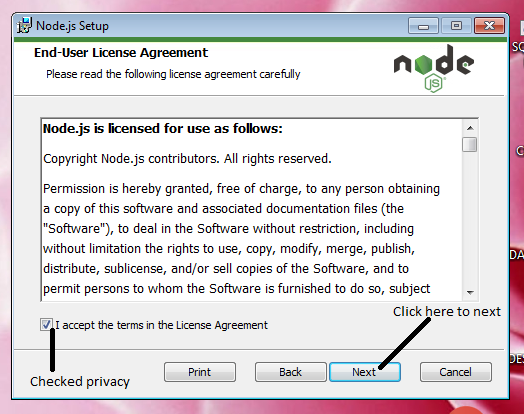 After successfully install now open command promote to check the npm version info. 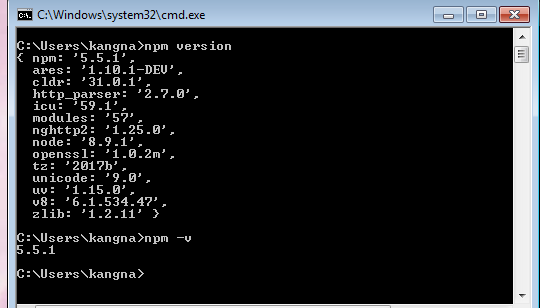 In command prompt write “npm version” it will display the versions of each module.If you want tot check only npm version then “npm -v”. In next tutorial we discuss on how to install Visual Studio code & Git installations.